Confronted with helping to rebuild the ruins of lower Manhattan in the aftermath of September 11, Ambassador Charles A. Gargano spent the next twelve years cleaning up and revitalizing Ground Zero and developing One World Trade Center. The experience was life affirming and provided a signature testament of hope in the shadow of one of the worst events of the twenty-first century. As a legendary real estate icon, engineer, and Republican strategist who served in the US government for three decades, Gargano has become a thought leader and pioneer in the field of re-engineering. He knows what does and doesn’t work and how to apply that experience to the foundation of America. Gargano’s approach to engineering powerful, beautiful structures and planting seeds of hope in our greatest cities has given him a distinct vantage point and unique voice. Seasoned with authority, his advice is indispensable for rebuilding an America at risk of ruin. Now, facing the most politically divisive moment in generations, Gargano applies his decades of experience in public service toward the task of re-engineering our nation’s political and moral infrastructure From the Ground Up with traditional, values-based leadership. In the words of Gargano, the only person who can get a grip on this off-course country—and steer it true—is you. 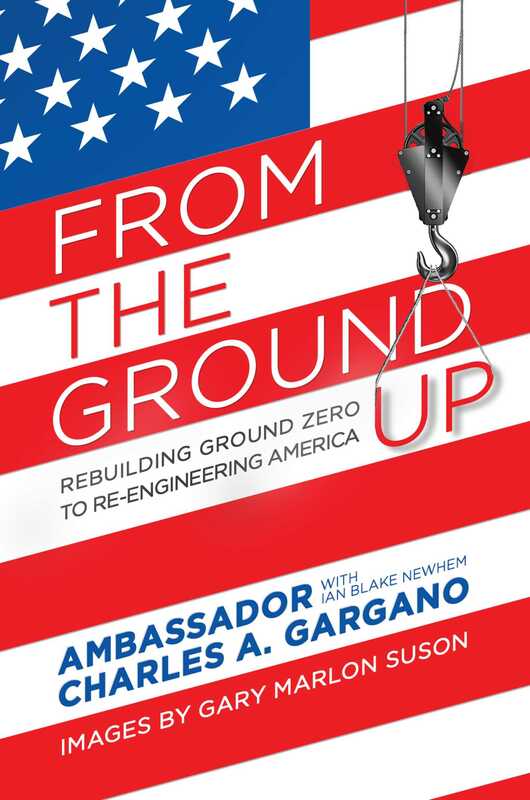 “Using each major lesson learned during the decade-plus of rebuilding lower Manhattan after 9/11—each achievement and setback—From the Ground Up offers Americans, for the first time, a comprehensive, practical, and inspiring plan for re-engineering the entire country.